A boat owner has won his appeal against the British Waterways Board preventing him from mooring his boats alongside his land on a tidal stretch of the Grand Canal. Although he had no common law right to permanently moor the boats, he had committed no actionable wrong in doing so, and they were therefore not moored “without lawful authority” within the meaning of the British Waterways Act 1983. This judgment is an interesting and important endorsement of the principle in English law that everything is permitted except what is expressly forbidden. This key “rule of law” principle applies as much to the BWB as it does to the police and other law enforcement agencies. The facts of this case are set out in my post on the Chancery Division’s judgment. It will be remembered that Hildyard J held that a riparian owner had no right, simply by reason of his ownership of land on the banks of a river, to moor a vessel alongside that land and therefore issued an order requiring that Mr Moore remove his vessels. 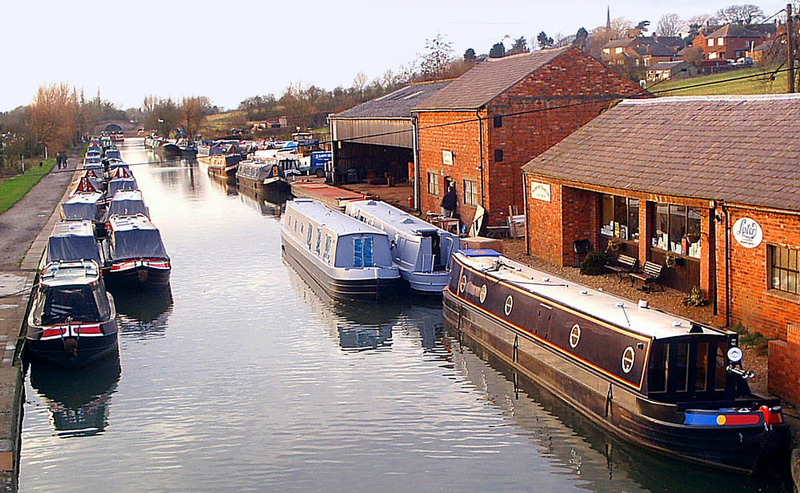 The question before the Court of Appeal was not so much whether the appellant had a positive mooring right, but whether the BWB had a general power under section 8 of the 1983 Act to order the removal of vessels moored on the canal without its permission. The Court allowed the appeal. the mindset at trial [in the Chancery Division] was naturally influenced by the positive nature of the mooring right asserted by the claimant i.e. that under the common law he had a riparian right to moor vessels permanently in that particular stretch of the GUC and that provided the “lawful authority” answer to the s.8 notices served by BWB. The problem with that approach was that it “sidelined” the question that should have been at the centre of the dispute: whether, quite apart from any established riparian right, the claimant was doing anything unlawful at common law by the mooring of his vessels along side the canal bank in that part of the GUC. What was at issue in this particular case was not only what rights the claimant could establish as a matter of private law or public law, but also whether his actions amounted to the commission of an actionable wrong, either at common law or under statute, which would entitle the BWB to require the removal of the vessels. Section 8 of the Act did not confer upon the board a general power to require the removal of vessels moored without permission. The power was exercisable only in a case where the vessel was there “without lawful authority”. Although the common law did not recognise a riparian right to permanently moor, the absence of that right did not necessarily connote the commission of a wrong such as to render the mooring unlawful. It was necessary to ask whether, even in the absence of an established riparian right to moor, Mr Moore had committed any actionable wrong, either at common law or under statute, which made what he was doing unlawful. BWB had not adduced any evidence that the claimant was obstructing the public right of navigation by other members of the public, or committed any wrong to the riparian owners, or indeed any wrong as regards the canal bed of the GUC with the tidal element. If what the claimant was doing was not a legal wrong, he was entitled to do it. If he was entitled to do it, he was not doing it “without lawful authority” within s.8, because the law allows him to do what it did not prohibit at common law or by statute. BWB therefore had no power under the 1983 Act to require the appellant to remove his vessels. Lewison LJ pointed out that different considerations might well apply if a claim in trespass were brought against Mr Moore by the owner of the bed of the waterway over which his vessel is moored. talking through unfamiliar, confusing or difficult factual and legal aspects; disentangling what matters from what does not matter; bringing order and understanding to the discussion of what matters by judicial thinking aloud to test legal propositions and to double-check facts; and ensuring as far as possible that, in conjunction with the pre-reading of the papers, the court has a good grasp of what the parties are getting at. For those interested to read further, my own argument on the point is found in my Skeleton Argument at paragraphs 3-5, and 298-362. Thank heaven for a judge with common-sense. What I like in this judgement is that it reaffirms the rights of an individual over and against the state (in the form of the BWB). This is anti-fascism at its very best, though I do also share the concern about what this precedent may lead to in future. Still, as Winston Churchill once said of democracy “…it has been said that democracy is the worst form of government except all those other forms that have been tried from time to time.” One could occasionally say something similar about the English and Welsh system of justice. We may end up with a number of messy situations in future but I am sure we will all not mind as long as the individual freedom of individual people in our country continues to be safeguarded. This is what is brightest and best in our England and Wales. Dr Sims appears to have overlooked the pertinent observation in the article that the position in tidal waters is “more restrictive” than in non-tidal waters. The rest of the comment likewise misses the mark – the case simply affirms the Rule of Law in clarifying that an authority’s whim is no substitute for law. Nothing in this finding allows for laws to be flouted, whether those of the common law or of statute – any violation of which [as in obstruction of navigation or trespass] will be actionable on its own merits. So there can be no possible “detriment of the greater good”. What the case emphasises is that the governors are just as subject to the Rule of Law as are the governed. Hardly an “unfortunate precedent”. Mr Moore’s right to moor. You couldn’t make this up! Don’t we all love it when the litigant in person wins, as long as we are not the luckless lawyers who lose! When I was in articles in the seventies there was a member of the Bar called Brian Davenport, who alas died young. He was one of the Revenue’s panel for Capital Gains Tax cases, and one day The Times carried a report of a case in the Chancery Division of mind-boggling complexity, in which the taxpayer, a retail trader, acting in person, who had lost before the Commissioners won his appeal.